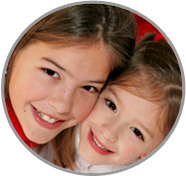 Your Best Suited Nanny in Cumberland County is right here at ABC Nanny Source! Call Today! Nanny in Cumberland County Catarina makes a lasting impact on everyone she meets – especially children! “Cathy has been in our employment as a Nanny in Cumberland County for the past four and half years. She exhibits the qualities of punctuality, reliability, caring and good moral character. She works very well with children of all ages and knows how to appropriately handle any situation that may occur. We regard Cathy with the highest esteem and faithfully recommend her for a nanny position. Please call 717-221-1020 today to speak with a placement counselor and start your search for the perfect Nanny in Cumberland County!